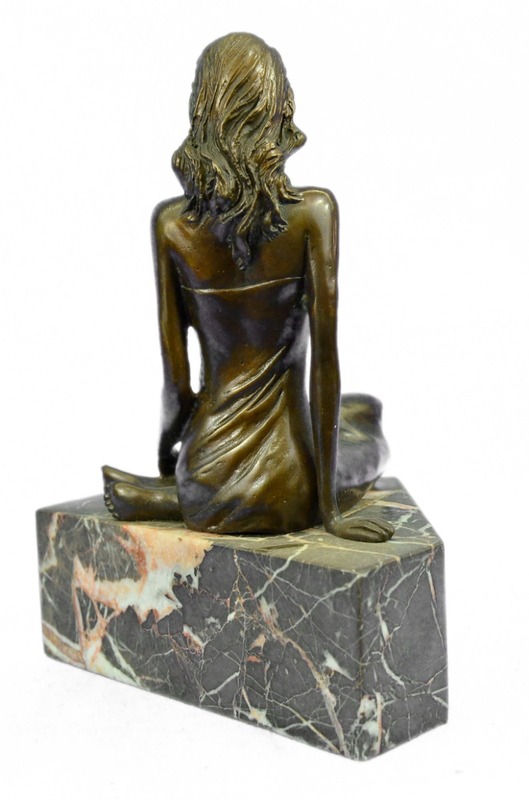 Sitting Provocatively Yet Elegantly, A Confident Young Woman Reveals Her Long Curvy Legs And Dressed Seductively To Stir Envy Amongst Other Women And To Provoke Lust Amongst Men Whom Indulge Her Beauty. 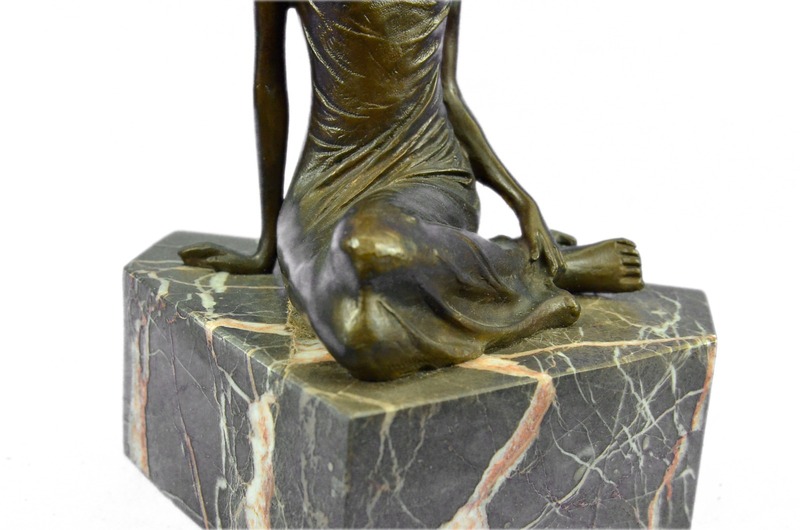 A Figure Of Feminism, The Woman Holds Tremendous Power To Draw Men To Her Toes By Nothing More Than A Glimpse Of Her Golden Skin, The Handmade Bronze Sculpture Was Cast Using The Archaic Method Of Lost-Wax Casting And Stained With A Brown Patina Finish For Perpetuation. 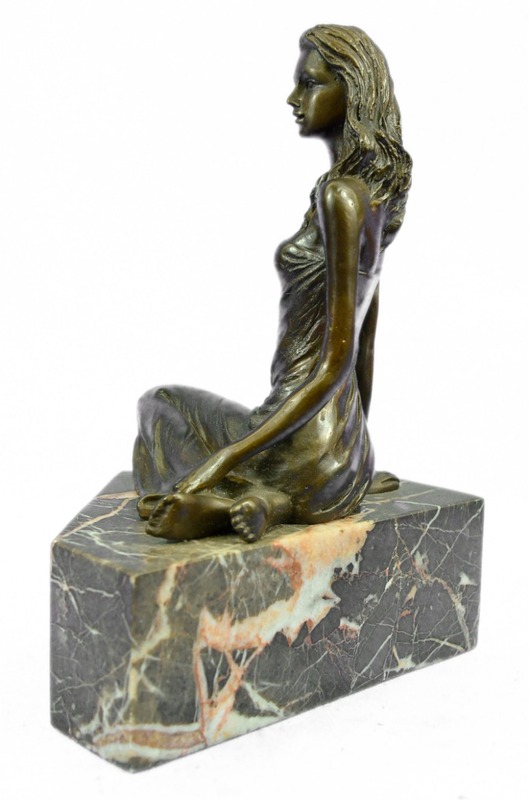 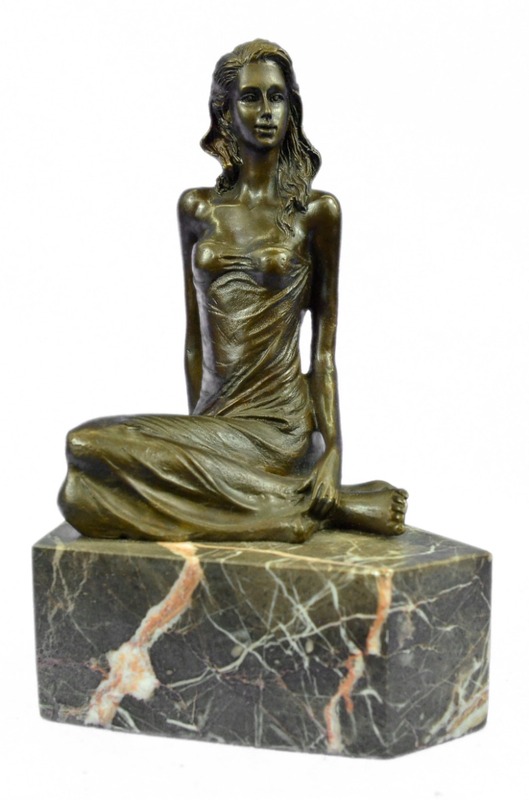 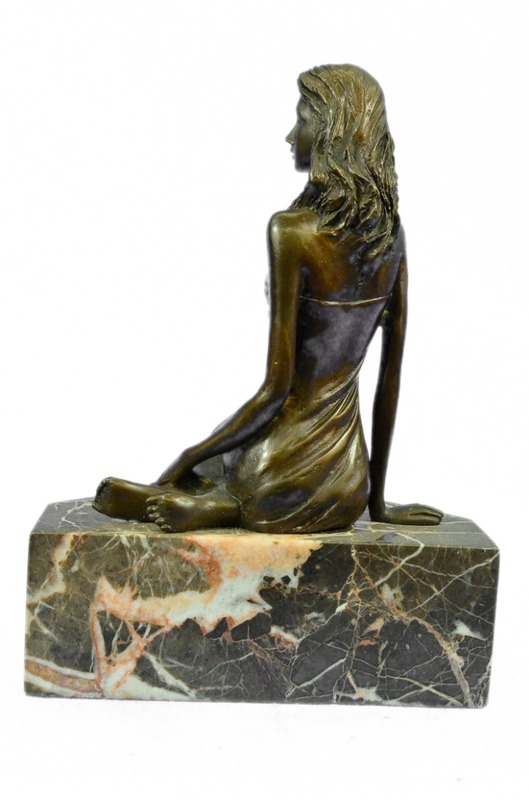 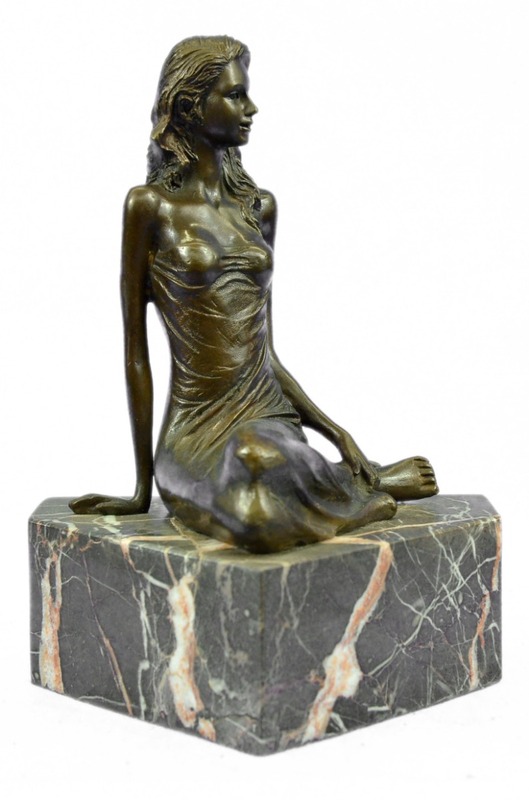 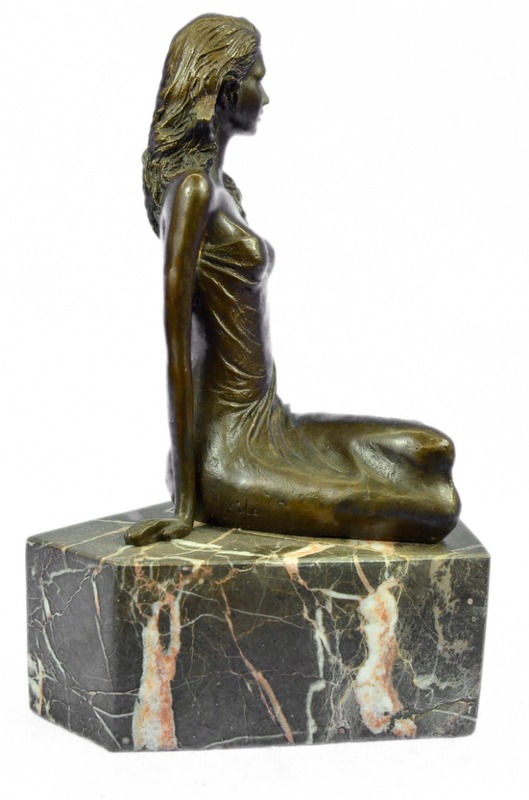 She Is Mounted Upon A Brown Marble Base And Is Signed By Artist Milo.